The Museum of Chinese in America (MOCA) hosted its annual Lunar New Year Family Festival on February 16, 2019. Visitors of all ages celebrated the Year of the Pig with a fun-filled day of activities, all inspired by Chinese and Chinese American New Year’s traditions! 2018 was a momentous year for MOCA, with new groundbreaking exhibitions, new audio guides, a record number of new Journey Wall families, and our first team running the TCS NYC Marathon to raise money to tell the untold stories in the making of America. Thank you to all who attended and enjoyed mooncakes, shadow puppets and more. See you again in 2019! 2017 has been an amazing year, a year in which the Museum of Chinese in America has grown in all areas, including visitors, exhibitions, education and public programs. 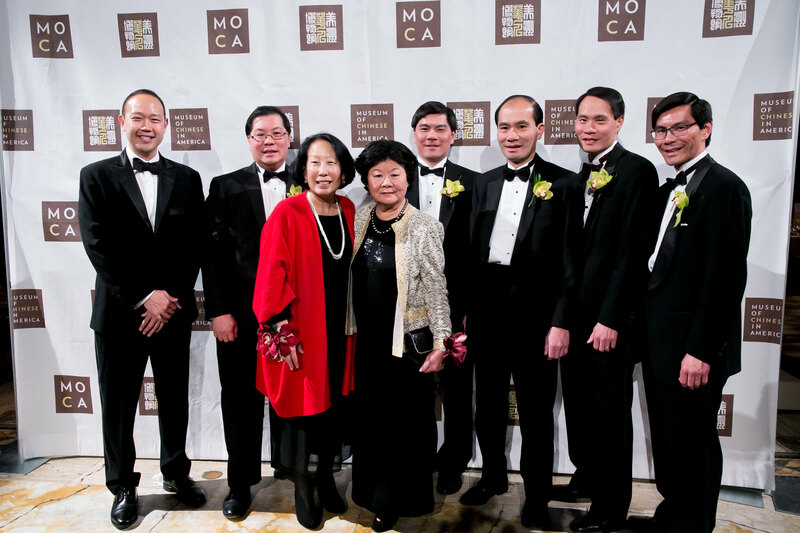 The Museum of Chinese in America (MOCA) paid tribute to the legacies of the Eugene C. and Gail V. Sit Family, Chieh Huang, Gish Jen, and recognized Artist of the Year Phillipa Soo at its 2017 Annual Legacy Awards Gala at the gorgeous Cipriani 25 Broadway on November 14, 2017. The Museum of Chinese in America (MOCA) hosted its Sixth Annual Golf Outing at the beautiful Liberty National Golf Course on June 20, 2017. The 2017 Sixth Annual Celebration of Community Heroes honored Glenn Lau-Kee, Chinatown Ice Cream Factory, Wing on Wo, and First American International Bank. The Museum of Chinese in America rang in the Year of the Rooster with 9 chefs, lion dances, noodle pulling, and other festivities at the 2017 Lunar Feast Fest: Night Market. Get the latest on MOCA’s programs and events!